Ready to learn about the Berger Picard Temperament? I'm sure you do. But here is a quick fact about this rare dog breed and a bit of history that I'd bet you did not know. 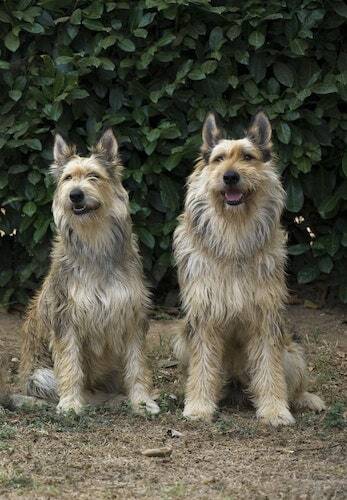 Perhaps one of the most interesting facts about the Berger Picard is that his name is not at all pronounced how it looks. This is because the name is actually French. “Berger” is French for “shepherd,” and Picard is the area in France from where the Berger Picard originated. The Berger Picard is believed to be the oldest of all the French Sheepdogs. In fact, it was only as recent as 2018 that a genetic link was discovered between the German Shepherd and the Berger. World Wars I and II almost brought the Berger breed to extinction. While the breed has slowly started to come back over time, the number of Bergers in the world left remaining is rather small. The U.S. and Canada have the lowest amount with only about 400 dogs. Germany has about 500. As expected, France has the largest number with 3,500. 1. Stubborn – It's rather easy to train a Berger – when he listens to you. Ask any Berger owner what their most difficult trait is, and you'll hear over and over again how stubborn he is. 2. Energetic – This dog has a serious energy level. Instead of worrying about finding a dog who can keep up with you, you may find that you have more difficulty keeping up with him! 3. Intelligent – The Berger is able to communicate with humans on a unique level with the Berger stare (more on that later). However, his intelligence means that he may have an independent streak that feeds into his stubbornness. Because the Berger is smart, he learns new tricks very quickly. However, he’s also stubborn, which can make training him a chore. Something interesting to note about the Berger: people are typically warned against making eye contact with an animal because the animal may misinterpret it as aggression. Not so with the Berger. The Berger has an unmatched ability to hold eye contact for a longer period of time than other dogs can. People and other animals may see this as a sign of aggression, but there is no malice in the Berger’s stare. Instead, he does it to show that he’s interested in something, or as a way to communicate with you. So if you notice a Berger doing this, don’t be frightened. He’s just trying to bond with you. In fact, his stare has even been said to be human-like in how kind it is. 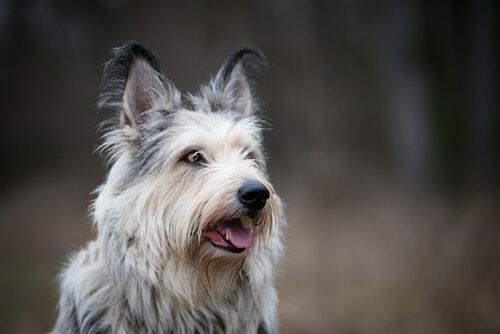 The Berger Picard Club of America, which is the official AKC parent club for the breed, hosts some pretty interesting facts about the breed on their website. The Berger was often used to smuggle matches and tobacco over the Franco-Belgian border. The contraband was put into goatskin pouches and attached to their shaved backs. Over the past 20 years, there have been numerous attempts, without success to establish the Berger Picard breed in North America. The only reason there are so many here today is thanks to the internet allowing European breeders to reach interested Americans. Have you heard of dogs that can sniff out cancer? That's Floyd, a Berger Picard who saved his owner after persistently sniffing his owner's armpits and groin, leading to a non-Hodgkin's lymphoma diagnosis. His owner is now in remission. When training a Berger, you must remember that he does not do well with a harsh scolding. Instead of reprimanding him for doing the wrong thing, focus more on rewarding him when he does right. Bergers must be trained young to be in the company of other animals and children. Else, they can grow up to become hostile and be distrusting toward new people or animals they do not know. To learn more do it yourself dog training, check out the online dog trainer. The Berger Picard’s coat is pretty rough, but he really only needs to be brushed about once a month. His undercoat is soft, while his top coat is both shaggy and wiry. Therefore, to brush him effectively, you’ll need to use both a rake (dematting brush) and a slicker brush (those square brushes with the pin-like bristles). You only occasionally need to bathe a Berger Picard and when you do, you should stick to a shampoo that’s made specifically to handle his kind of coat. The Berger is an active dog, and he can keep up with any activity, from jogging to hiking. This is the kind of dog that can run alongside your bike. If you love to swim, this is the ideal dog for you, but be warned: once he’s in the water, he won’t want to come out! If you have a fairly sedentary lifestyle, or if you’re not home much, then you may want to opt for a different breed. The reason for this is that the Berger requires several quick walks every day. Bergers are generally very healthy dogs. The only real concerns for the Berger are the same concerns that plague nearly every breed: hip dysplasia and eye issues. One important point to note about the Berger Picard is that he can be sensitive to anesthesia. This is especially important if, for some reason, he needs to undergo surgery. Uterine inertia is a condition wherein the dog’s contractions stop while she’s in labor, or don’t occur at all. This means that she is unable to give birth to her puppies. If this happens, you may require professional assistance from a veterinarian to ensure that she and her puppies remain healthy and safe. While pregnant Bergers typically carry between two to 10 puppies per litter, on average only six are born healthy. The average lifespan of a Berger Picard dog is between 12 and 15 years. If you’re interested in a Berger Picard puppy, or even a Berger Picard mix, you should know up front that it’s slim pickings out there. 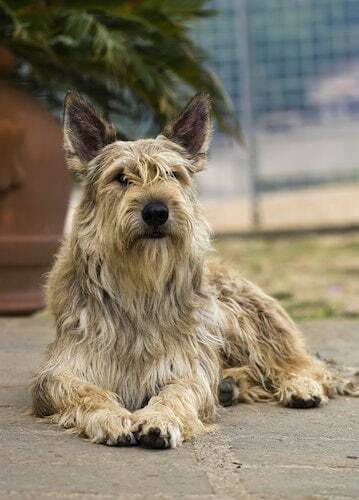 This is due, in part, to the rarity of the breed in the U.S.
Berger Picard adoptions are next to impossible due to the difficulties some females have in giving birth to their litters. For this reason, you may be forced to seek out Berger Picard dog breeders, even if you would have preferred to adopt. There are a few places that specialize in Berger Picard rescues, so you can always try that route. But you shouldn't have high expectations to find a Berger Picard for sale at your local shelter. You may be expecting a higher price tag here, considering the rarity of a Berger Picard, and you would be right. A normal Berger Picard price hovers around $2,000 to $2,500 for a puppy. The Berger Picard is an interesting breed. For one thing, they gaze into your eyes with such a human spirit that it can genuinely be unnerving. This is especially true since we’re all used to backing away from a staring dog. He has a coarse upper coat and a soft undercoat. This makes him easy to bathe but slightly more difficult to brush. He’s a pretty healthy dog with a long lifespan, though females may experience difficulties giving birth. And, seeing as how the breed is so rare. Consider breeding your Berger if you opt for a female so as to help the breed live on. He’s a hard dog to find. So if you’re in the market for a Berger Picard and you manage to find one, don’t delay. Adopt or buy right away! Previous post: Nova Scotia Duck Tolling Retriever Temperament – Patience, Love and Intelligence What More Can You Ask For?